With the many improvements and features Microsoft has made to OneDrive over the last couple of years, enterprise cloud storage customers have recently discovered that their current solutions such as Box, Dropbox or Google just don’t have the sharing and secure file management capabilities they need. 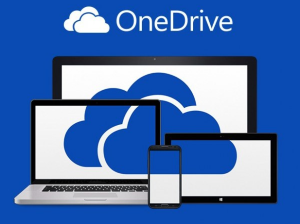 This combined with the fact that OneDrive has many tightly integrated and intertwined features to connect to their other Office 365 and non-Microsoft cloud SaaS are making these customers regret their decisions to go with these other cloud storage solutions. For this reason, Microsoft is giving these customers the ability to take advantage of a great switch over offer. Starting February 6, 2018 to June 30, 2018, Microsoft is giving new customers (with 500 or more users) the ability switch their service from Box, Dropbox or Google by offering free OneDrive for Business free for the remaining length of their contract (up to 3 years maximum). The offer is facilitated by the Microsoft FastTrack team to help customers make the smooth transition to OneDrive and Office 365. View the full details of the offer here.